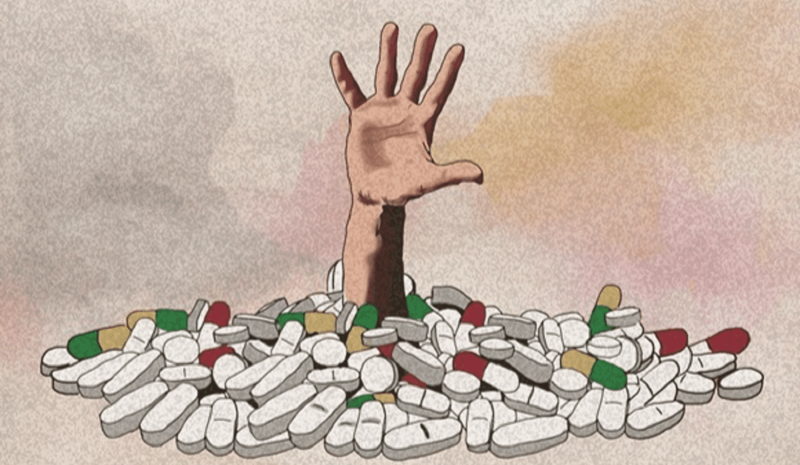 What Happens when Big Pharma "Exploits" the Opioid Epidemic for Financial Gain? Kaleo Is Doing It. The opioid crisis has grown exponentially - ravaging communities and taking an estimated 64,000 lives each year – escalating into a public health epidemic. In response to the increased availability of synthetic opioids like oxycodone and fentanyl, the Surgeon General called for expanded access to the opioid overdose antidote, naloxone, by using the slogan: Be Prepared. Get Naloxone. Save a life. Naloxone is a compound which can literally cheat death, however due to price increases of up to 600%, public agencies are unable to afford to supply their first responders despite a federal mandate to do so. According to data collected by the FDA, the price of generic naloxone—made by Hospira -- jumped by 50% in January 2014. Amphastar, the producer of a product that can be used intranasally, doubled their price recently. 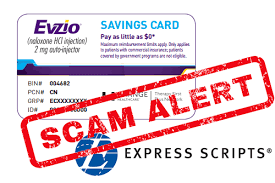 And Kaleo, which developed an ingenious “talking” naloxone auto-injector, known as Evzio, increased their price from $575 at market entry to $4500 for a two-pack. While the government could use existing legal authority to slash prices for the lifesaving naloxone, there is more to reducing drug costs than meets the eye. Medicare is legally prohibited from negotiating prices with drug companies. By employing a sales force to encourage doctors to sign off on paperwork that Evzio was “medically necessary”, Kaleo forced insurers and the federal government to foot the bill–Medicare shelled out $142 million for Evzio over the last 4 years—due to exorbitant price increases. Secretary Alex Azar is contemplating removing the “safe harbor” provision, which was added to the anti-kickback statute of the Social Security Act by Congress in 1987. The provision was designed to support group purchasing organizations, or GPOs, which got their start at the turn of 20th century as hospital cooperatives. GPOs, it was thought, could score better deals by buying medications in bulk, bringing down health care costs by negotiating discounts with drug manufacturers. Instead, the safe harbor provision led to an institutionalized system of “pay-to-play” corruption that would be illegal in any other industry. With only four GPOs supplying virtually all U.S. hospitals, the competition to secure the exclusive right to supply each of those hospitals with any given drug is fierce – and, thanks to the safe harbor provision – dirty. Under the provision, pharmaceutical companies are forced to pay what amounts to kickbacks to GPOs to win coveted supply contracts. Drug shortages result because there’s little incentive for drug companies to continue producing a particular drug after their competitor wins the lucrative GPO supply contract. Relying on the lone contracted manufacturer then increases the chance of experiencing a dangerous drug shortage. In 2005, a bipartisan bill to repeal this obscure provision was drafted by Senators Herb Kohl (D-WI) and Mike DeWine (R-OH), but the legislation died in Subcommittee and has not been resurrected. Congress is well aware of the risk the safe harbor provision poses to the American people, yet have proven loathe to act. Why? The answer lies in the power of the pharmaceutical lobby, which spent $171.5 million in 2017 and boasts two lobbyists for every member of Congress. Nine out of 10 members in the House and 97 of 100 U.S. senators accepted campaign contributions from pharmaceutical companies seeking to impact legislation, including both senators from Washington State. (As the ranking member on the Senate’s committee on Health, Education, Labor and Pensions, Sen. Patty Murray has yet to formally weigh in on the issue safe harbor repeal). Return on investment for big pharma lobbying efforts has resulted in nothing short of a windfall. By ramping up lobbying in 2008, Mylan –of Epi-Pen autoinjector fame—garnered legislation mandating the placement of epinephrine autoinjectors in every school in America. By the time President Obama signed the “EpiPen Law” in 2013, known as the School Access to Emergency Epinephrine Act, Mylan secured themselves a market monopoly. Initially, Kaleo created an Epi-Pen alternative to compete with Mylan, but soon set their sights on a more lucrative, not-yet-exploited niche: the opioid crisis. Company documents demonstrate the Kaleo business model was restructured to “capitalize on the opportunity” of “opioid overdose at epidemic levels.” Naloxone --the lone antidote -- costs less than ten cents to produce, yet has become cost-prohibitive to public agencies. Using the Mylan roadmap, Kaleo successfully lobbied the FDA for approval of their device for consumer use, then increased the price substantially. By the time fifty states enacted laws mandating law enforcement and first responders to carry naloxone to treat opioid overdoses, Kaleo secured a market monopoly of their own. The drug supply landscape is more of a coercive monopoly: the fees “kicked-back” to the GPOs are based on a percentage of the charges; higher prices are in the best interest of the pharmaceutical companies and the GPOs alike. The bottom line is opioids are costing too many American lives. 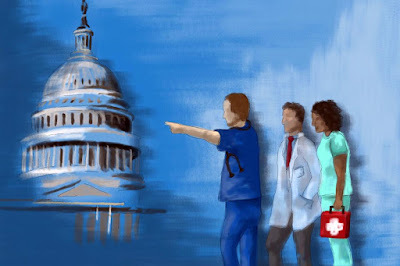 Congress has the power to alter the course of the worst public health crisis facing Americans by reigning in the pharmaceutical industry through legislative intervention. Removing “safe harbor” provision of the Social Security Act could save up to $30 billion annually and save 47 Americans from opioid overdose deaths per day. We must push lawmakers to close the pharmaceutical industry loophole before it is too late. Will the CVS-Aetna Merger Give Aetna Freedom to Kill? But there’s one thing we never see in our notoriously litigious country: Patients and their families suing their health insurance companies over their profit-driven decisions to deny potentially life-saving treatments. That is, we never used to, until a recent case turned that notion on its’ head. Recently, a jury in Oklahoma City ordered insurance giant Aetna to pay $25 million to the family of Orrana Cunningham, an Aetna customer who died of cancer after the company refused to cover radiation therapy. “The jury ruled that Aetna recklessly disregarded its duty to deal fairly and in good faith with Cunningham,” according to a Nov. 10 article by the Associated Press. Cunningham was diagnosed with Stage 4 nasopharyngeal cancer, a rare type of head and neck cancer that starts in the upper reaches of the throat. Her physicians prescribed proton beam therapy, a form of radiation that would attack the tumor accurately enough to reduce her risk of serious complications, such as blindness. The treatment had been approved by the Food and Drug Administration and was covered by Medicare. However, Aetna declined to cover it, after three separate medical directors alleged this treatment was “experimental.” To save the love of his life, Orrana’s husband of 28 years, Ron Cunningham, a retired Oklahoma City firefighter, mortgaged their home and set up a GoFundMe page to raise the $92,082.19 needed to pay for the treatment. But it was too late. Before the family raised that prodigious sum, Orrana Cunningham died of a viral brain infection on May 30, 2015. But before passing away, Orrana filed suit against Aetna for “bad faith,” as part of her fruitless attempt to force the insurer’s hand. After her death, Ron decided to proceed with the suit, taking Aetna to court. At trial, all three medical directors acknowledged they’d spent more time preparing for the lawsuit than they had on the decision to deny Ms. Cunningham’s life-saving medical treatment. Still, Aetna’s attorney, John Shely, thanked the medical directors personally for denying Orrana’s coverage and in closing arguments, went so far as to say he was proud of their decision. While Aetna has vowed to appeal the ruling, Ron Cunningham’s attorney, Doug Terry, said he hoped the case would prove a watershed. “We believe this case pulled the curtain back on what goes on at a health insurance company when claims are being denied,” he told reporters. 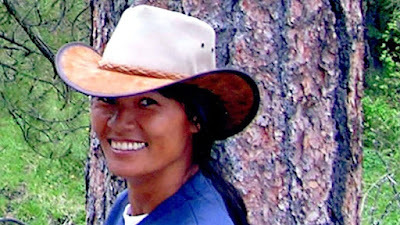 One can only hope, as, tragically, Orrana Cunningham’s case is anything but unusual. Insurers in the U.S. deny coverage for life-saving treatments on a daily basis, and our legislation doesn’t hold the insurance companies or their medical directors -- those who make the ultimate decision after coverage denials are appealed--accountable. Take any run-of-the-mill practicing physician like me, for example. If an improper medical decision on my part results in the death of my patient, I could have my medical license suspended or even revoked – not to mention facing the possibility of a malpractice suit. Ironically, medical directors at insurance companies ––almost invariably licensed medical doctors -- face no consequences when their poor medical decisions harm or even kill patients. It may seem like common sense that physicians employed by insurance companies should be charged with unprofessional conduct when the medical decisions they make fail to meet the standard of care, but the fact is they rarely, if ever, are. That’s because, unfortunately, health insurers fall outside the jurisdiction of state Medical Boards and are overseen by the Office of Insurance Commissioner (OIC) in each state, an entity with more bark than bite. Last year, California's Office of the Insurance Commissioner launched an investigation on Aetna after learning their former medical director, Dr. Jay Iinuma, admitted under oath that he never reviewed patients’ medical records when deciding to approve or deny care for patients. Despite the outrageous admission by the medical director, California signed off on the Aetna-CVS merger last week, meaning there will be little more than a slap on the wrist for Aetna or their employed physician. Insurance companies and the paper-pushing physicians in their employ have a clear conflict of interest: They’re job is to watch out for the company’s bottom line by signing off on the denial of costly treatments, regardless of whether those treatments could save patients’ – their customers’ - lives. Hopefully, the stunning Orrana Cunningham decision has put us on a path toward increased insurer accountability. With Aetna’s $69 billion megamerger with pharmacy giant CVS Health expected any day now, the stakes have never been higher. Why Affordable Housing Matters in Health Care. Whether we recognize it or not, we’re in a housing affordability crisis. Over a third of households in the U.S., carry a shelter burden that is beyond the standard of affordability – that is, costs usurp more than 30% of monthly income. Locally, rents have increased by 50% over the last 5 years and more startling, the number of evictions has grown by 90% in the last 3 years. Wages aren’t keeping up with costs. The tipping point of housing instability comes when there is a health crisis, loss of employment or reduction in hours, rent increase, expensive car repair, or any combination of these unanticipated or unwanted life events. Health care and other social services can improve life outcomes for individuals and families, but stable and affordable housing must be the platform where it begins. Research supports a critical link between affordable housing and health outcomes. In 2016, the Providence Center for Outcomes Research and Education found that health care costs were 12% lower after individuals moved into affordable housing; study subjects were 20% more likely to go see their primary care physician and 18% less likely to visit the emergency room. The Olympic Region -which includes Kitsap County- leads the state in number of Medicaid patients visiting the Emergency Department unnecessarily. While the state average is 436.8 visits per 1000 patients, the average in the Olympic region is 617.6 per 1000, fully 41% higher. Critics say government-subsidized housing is detrimental to the economy and individual freedom. However, this column’s co-author, Kurt Wiest of Bremerton Housing Authority, and I have seen the lives of families literally transformed by obtaining a stable residence. We have also witnessed the fear on a child’s face when they are told they must sleep in a car one more night. We cannot impact the health of a child without placing it in the context of stable housing. 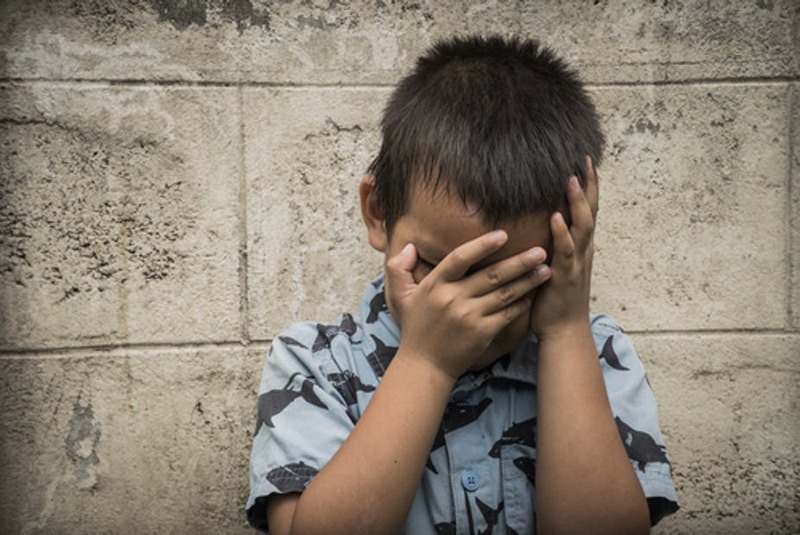 Affordable housing --where the cost of shelter is at or below 30% of household income-- reduces family stress and related adverse childhood experiences (ACEs). Children who move frequently, are forced to double up in small living spaces, or face eviction can be traumatized by the experience. 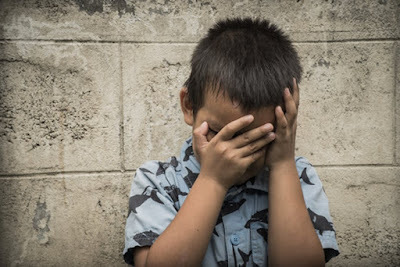 Studies demonstrate these children are more likely to suffer from mental health disorders, developmental delay, learning disabilities, and are hospitalized for illness more often. Children experiencing housing instability are four times more likely to be sick than their same-aged counterparts. The gap between survival and self-sufficiency continues to widen. The federal poverty line for a family of 4 is $24,600, however, “self-sufficiency” in Kitsap County during 2017 required $59,075. The average monthly rent in Kitsap County is now $1,350. To meet the 30% threshold, a householder must earn nearly $25 per hour, working 40 hours a week, 52 weeks a year. For those adults with children working minimum wage jobs, public supports, such as child care assistance and federally subsidized housing, can help families meet their basic needs. If we are to make a difference in the health of individuals and families in Kitsap County, we must address the supply of safe, decent, and affordable housing. Health outcomes and housing stability are inexorably connected. Without investing in affordable housing first, quality health care that’s available to all is just a pipe dream. Hiral Tipirnini, MD a candidate in Arizona's 8th District, is an emergency physician who supports repairing the ACA, rather than repealing it. She wants those under 65 to “buy-in” to Medicare and feels free market competition the best way to reign in healthcare costs. The Reasons Childbirth is safer in Libya than the United States. To make matters worse, research done by the CDC Foundation determined up to 60% of these maternal deaths were preventable. These stats got me thinking: Seeing that maternal mortality clearly remains a serious problem, why are we taking a head-buried-in-the-sand approach? (The most recent nationwide maternal mortality statistics date from 2007.) And how can childbirth in the U.S. become equally as safe as it is in Libya or Vietnam? Since 2006, the state of California has been working with Stanford University School of Medicine to buck the status quo, by starting the California Maternal Quality Care Collaborative (CMQCC), aimed at developing best practices to reduce maternal mortality. The medical director at CMQCC, Elliott Main, formed a review board made up of concerned doctors, nurses, midwives, and hospital administrators to analyze root causes of mortality and propose solutions. Through their work, it quickly became apparent that hemorrhage and preeclampsia were the most common preventable causes of maternal death. Hopsitals have had “code carts” for decades - wheeled contraptions stocked with basic equipment necessary to resuscitate patients - so why, the mortality review team reasoned, don’t obstetric units have “hemorrhage carts” to keep all the emergency supplies in one easy-to-reach place? Though, in Washington State, our maternal mortality ratio has held steady at 9.0 per 100,000 births for years, we too stand to learn from California’s example. Childbirth is no party. It can be one of the riskiest endeavors women face in their lifetime. 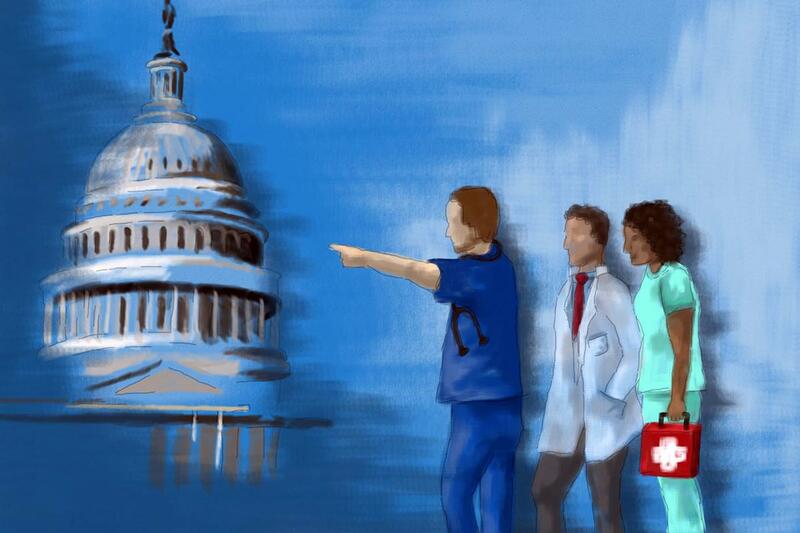 We must mobilize our health providers, policy-makers, and communities to do better. 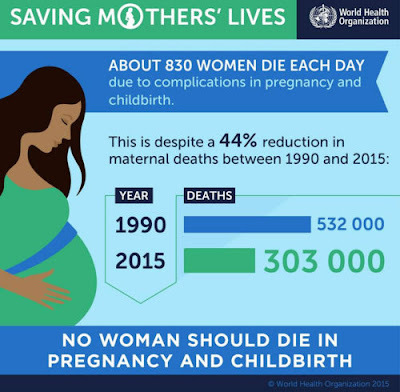 With increased awareness of maternal mortality– and tangible, targeted actions to ensure pregnant women receive the highest quality care– many fatal and near-fatal outcomes can be avoided. Can Physicians Push Back Against Big Pharma? 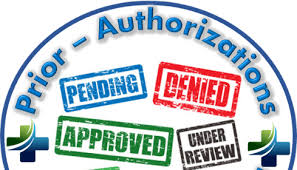 Prior Authorizations: Who is Responsible for the Death of a Patient when Insurers Practice Medicine? Her grief-stricken family subsequently filed a wrongful death suit – not, as might be expected, against the insurance company that required the PA in the first place, but rather against Walgreens, Yarushka’s physician and his practice. Medical malpractice is defined as negligence by act or omission in cases where the prescribed treatment fell below the accepted standard of practice and caused injury or death. In the Rivera case, MassHealth alone created the barrier between Ms. Yarushka and her life-sustaining medication. The insurance company was, effectively, practicing medicine without a license. And it alone should be held accountable for the tragically predictable outcome after overriding the sound judgement of her physician and pharmacist. The New York University Medical School recently stunned the nation by announcing tuition for all current and future medical students will be free, irrespective of merit or financial need. Dr. Robert Grossman, dean at NYU, commented “this decision recognizes a moral imperative that must be addressed, as institutions place an increasing debt burden on young people who aspire to become physicians.” NYU says their scholarship – which begins in the 2018-19 school year -- is worth $55,000 annually. Unfortunately, high tuition is deterring medical students from entering the primary care fields. Nearly half of third- and fourth-year medical students say that their choice in medical specialty is directly influenced by projected income — or by debt burden. In the U.S., only 3 in 10 students choose the primary care specialties of internal medicine, family medicine, and pediatrics, which generally have lower salaries than more lucrative disciplines like cardiology, orthopedics, or anesthesiology. Ideally, 6 or 7 in 10 would choose a primary care specialty, however surveys show orthopedists make $489,000 a year, compared with family practice physicians and pediatricians, who earn less than $200,000 annually. In my last column, I wrote about the impending national physician crisis, which appears likely to hit already-underserved Kitsap County –designated as a Health Professional Shortage Area- particularly hard. This week, I want to share information about a new program that can help Kitsap County buck the trend by bringing a whole crop of enthusiastic young physicians to our area. It’s called the Northwest Washington Family Medicine Residency Program. The program represents a golden opportunity for our community on several fronts. Firstly, it means potentially anchoring numerous newly minted doctors in Kitsap County. Studies show that doctors are likely to remain in the area where they do their residency training. Almost 20 percent of family practice residents go on to practice within 5 miles of where they were trained; nearly 40 percent practice within 25 miles; and the majority practice within 100 miles of their training location. As community members, we should each do our part to help convince these young doctors to stay in Kitsap County. Residency is a time where physicians literally eat, sleep, and breathe medicine. Residents routinely pull 24- or even 36-hour-long shifts. Exhaustion becomes a way of life. And with it, doubt often creeps in, with many sleep-deprived young physicians beset by worries that they made a terrible mistake in choosing medical school. A warm gesture can brighten the day for any tired and hungry young resident. Even something as seemingly small as a gift of cookies or a homemade meal delivered in a Tupperware can mean the difference between finishing a residency program or giving up –and also, potentially, between ultimately staying in Kitsap County or moving on to greener pastures. But the residency is not only a potential panacea for our area’s looming physician shortage. It’s also a great opportunity for veteran physicians, like me. Residency is an integral part of medical training in the United States. 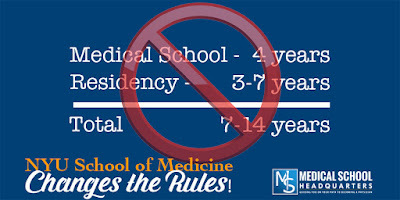 In order to practice, medical school graduates must not only pass a series of grueling exams but also complete an accredited three-year residency program. 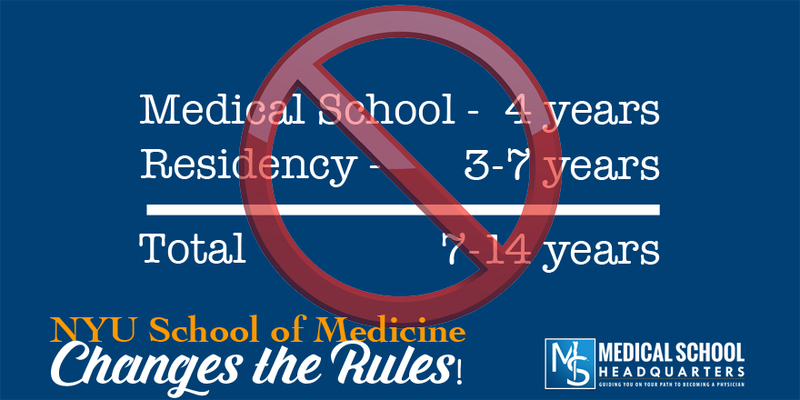 That fact speaks volumes about our concept of how medicine is best learned – and taught. Because residencies are not only about helping prepare the next generation of doctors; they’re also about ensuring seasoned physicians maintain their skills. There’s a saying in Latin encapsulating the philosophy: “Docendo Discimus,” or, “By teaching, we learn.” Great doctors are not born, they’re trained –initially by more experienced doctors and then, through the very act of training recent graduates. The notion of lifelong learning is essential to the practice of medicine and as such, it mustn’t be overlooked. As a pediatrician who was born and raised locally, I’ve had the honor and privilege of mentoring by many legendary local physicians throughout my career, some taking me under their wing when I was merely five years old. The Northwest Family Medicine Residency Program is my chance to give back. I signed up to teach residents, and although it represents another commitment in my already-busy day, I’m proud to be a part of this program. Not only am I helping assure that my children and, hopefully, their children will have access to quality healthcare in the area, I’m upping my own game through the act of teaching and therefore, continually learning more myself. Please ask your doctors if they’re collaborating with the family medicine residency and if not, encourage them to actively take part. Supporting the Northwest Washington Family Medicine Residency Program, as a physician mentor or a patient, is the best solution to offset the physician shortage. Finally, if any of you should cross paths with one of these eight hard-working residents, remember that kindness begets compassion, compassion fosters empathy, and caring for our fellow human beings is best learned by example. Docendo Discimus: By teaching, we will all learn. * This year’s residents are: Jonathan Amkraut, MD; Justin Carlson, MD; Neel Chheda, DO; Casey Kernan, DO; So Lee, DO; John Rambo, MD; Khuyen Tran, DO; and Jacob Van Fleet, MD. They represent a bright future for healthcare in our community and we should feel lucky to have them. Find out more here: https://www.chifranciscan.org/northwest-washington-family-medicine-residency/about-us. Does Kitsap County Have Enough Doctors? According to the Kaiser Family Foundation, there are approximately 968,743 doctors practicing in the United States. Taken at face value, that number seems adequate, however there are a couple of caveats. Data shows that the average age of physicians is continuing to climb. Nationally, 1 in 3 physicians are over 50 years old and 1 in 4 are over sixty. That means at least 25 percent of the physician work force could retire soon, translating to a loss of more than 223,000 doctors. Also, most experts agree that physicians prefer living in major metropolitan areas to rural locales. To make matters worse, Medicare reimburses more in places where the cost of living is higher, a lopsided scheme which further disincentivizes physicians from migrating to rural areas. The aging of the physician population and a definitive preference for urban centers has resulted in a problem of physician maldistribution, which according to a recently released report from the Office of Financial Management/ Health Care Research Center, is getting worse. In Washington State, there are currently 18,730 practicing physicians. About 37 percent, or 6,885 physicians, work in primary care fields, including family medicine, internal medicine and pediatrics. To put the physician maldistribution problem in perspective, the five most populous counties – King, Pierce, Spokane, Snohomish, and Clark -- are home to 73 percent of the state’s physicians while they account for just 65 percent of the population. Only 6% of physicians practice in rural areas, yet they serve 16% of the population. Kitsap County has 443 physicians, equivalent to 2.4% of the state total and is one county experiencing a shortage of primary care physicians. Kitsap County falls below the state average in every primary care specialty across the board. Americans– especially vulnerable populations, like children -- will be affected most when they cannot get the care they need, but the trend will grow to affect us all in time. Effective solutions to the fact that patient demand is outgrowing physician supply, have remained elusive. In our society, it is not exactly a good time to be a physician. According to a 2012 JAMA Internal Medicine Mayo Clinic study, 46% of all U.S. physicians are emotionally exhausted, feel cynical about work, or have lost their sense of personal accomplishment … or suffer from all three. A 2012 study of 5000 physicians showed that 89% of practicing physicians would not recommend medicine as a profession to their children or other family members. Doctors have the highest suicide rate of all professions. We are losing our most compassionate people to careers with less stress and a flexible lifestyle. The report released by the Office of Financial Management is a clear warning sign that the physician shortage is already impacting Kitsap County residents. As physicians, we should educate the public and try to find ways to better incentivize other physicians to choose rural areas in which to live and work. Until then, find a primary care physician you can trust as they are worth their weight in gold. Our View: Elections ideas coming your wayThe editorial board's commentaries on candidates will start appearing this week. Election 2018: Legislative primary interviewsInterviews with the Kitsap Sun editorial board. Ed Palm: Our fascination with tragedyThe story of a highway crash is sign of human nature. Niran Al-Agba: Immigrant kids need their familySeparation from a parent at a young age can be devastating. Tom Philpott: Vets rally against TRICARE hikesSenate bill would impose higher enrollment fees and deductibles on younger retirees. Rob Woutat: Counting down my daysWhat would we do if we knew exactly how long we'd live? Is Trump's allegiance to the American people? Your turn: It's about the games, not the teamsA writer learns to love the World Cup without the United States. Do you care about our country? Who holds KCR accountable for Wunderlin's hire? © 2018 kitsapsun.com, All rights reserved.